David Kimball is Chief Executive Officer of Prosper Marketplace. He joined the company in March 2016 as the CFO, and brings more than 20 years of financial services experience. In December 2016, David was appointed CEO and joined the company’s board of directors. 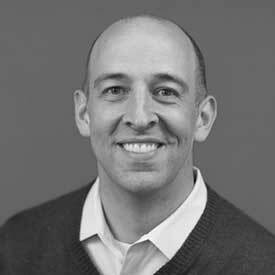 Prior to joining Prosper Marketplace, David served as Senior Financial Officer of USAA’s Chief Operating Office, where he oversaw the financial operations for USAA’s real estate unit, bank, P&C and life insurance companies, investment management company, and the call centers/distribution functions. During his time at USAA, David also served as USAA’s corporate treasurer and bank CFO. Prior to USAA, David spent ten years at Ford Motor Company and Ford Motor Credit Company in both the U.S. and U.K., working on their securitization programs, debt issuance, and a variety of FP&A positions. David has an M.B.A and B.A. from Brigham Young University.